Need help with 2010 Mazda 6 driver side low beam headlight not working. Replaced bulb, but not the issue. Looks like I lost the ground from the bulb (Blk/Gr) wire. Wiring is a birds nest under the fuse panel box and very difficult to move around once removed to trace wires. 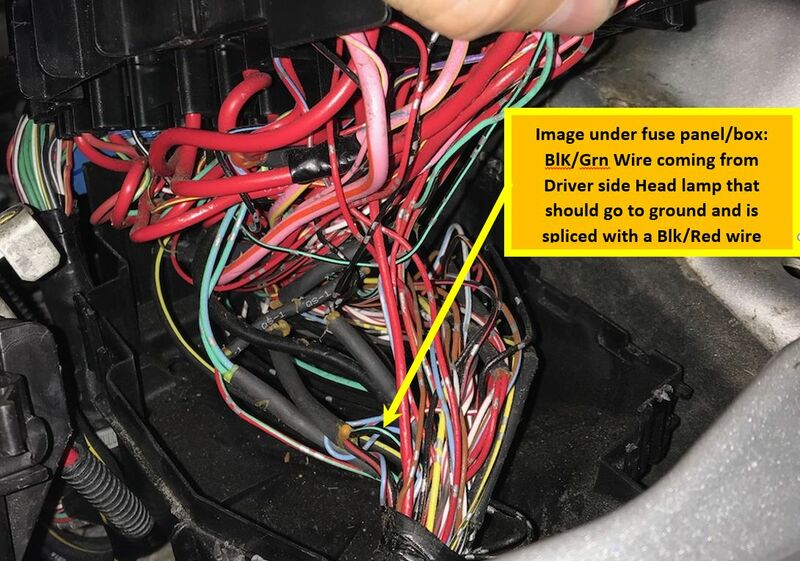 Can anyone supply a 2010 Mazda 6 headlight wiring diagram? All the ones I can find have High and Low beam as 10A fused and what I have is 15A for high and 10A for low beam (one bulb, 2 fuses/bulb). 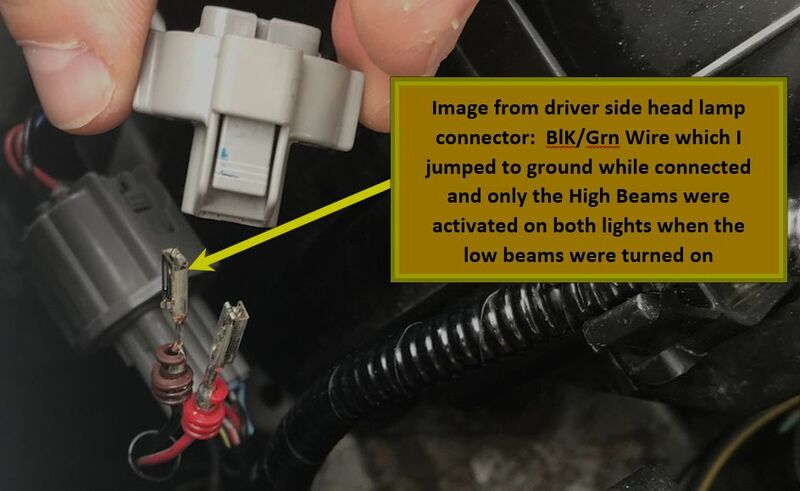 I tried to jump the ground from back of the bulb socket and then only the High beam goes on when I turn on the lights and nothing changes when I turn on the High beam switch. A had a similar situation with my SHO a few moths back. Did you move any relays around when troubleshooting? I learned that although some relays looked the same, some had an extra pin which was used to share ground to other circuits. All worked fine after I placed the relays back to their original location, I had been using the horn relay to test the headlight circuits and never put them back in the same order.